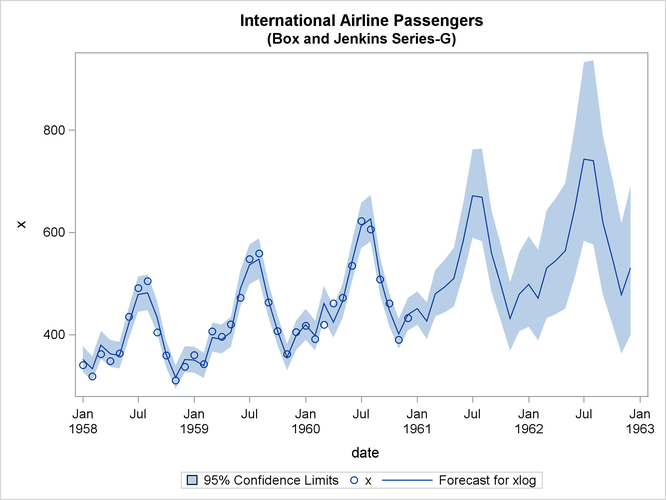 The following statements specify an ARIMA(0,1,1) (0,1,1) model without a mean term to the logarithms of the airline passengers series, xlog. 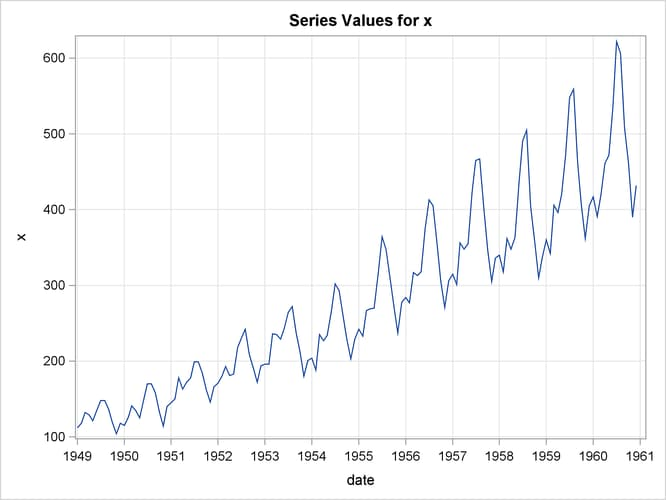 The model is forecast, and the results are stored in the data set B. The output from the IDENTIFY statement is shown in Output 7.2.2. 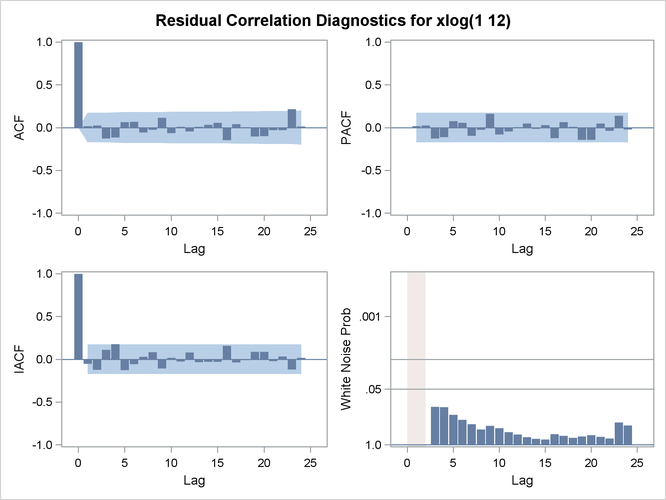 The autocorrelation plots shown are for the twice differenced series . 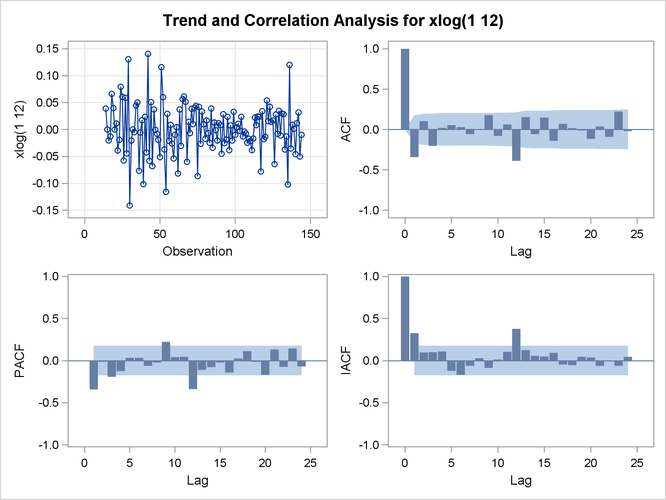 Note that the autocorrelation functions have the pattern characteristic of a first-order moving-average process combined with a seasonal moving-average process with lag 12. The results of the ESTIMATE statement are shown in Output 7.2.4, Output 7.2.5, and Output 7.2.6. The model appears to fit the data quite well. The forecasts and their confidence limits for the transformed series are shown in Output 7.2.7. The following statements retransform the forecast values to get forecasts in the original scales. See the section Forecasting Log Transformed Data for more information. 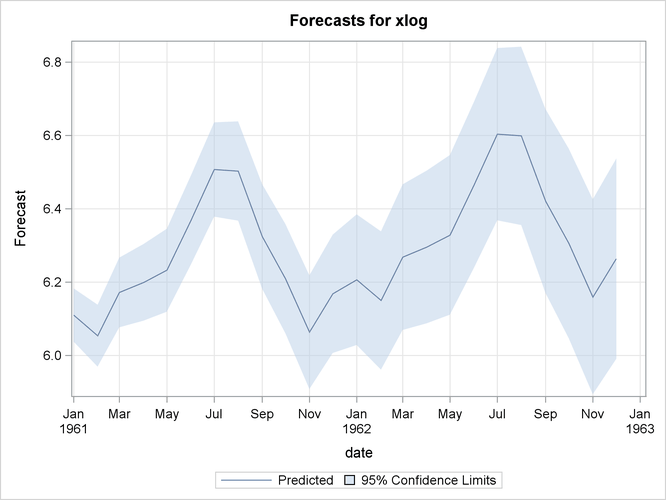 The forecasts and their confidence limits are plotted by using the following PROC SGPLOT step. 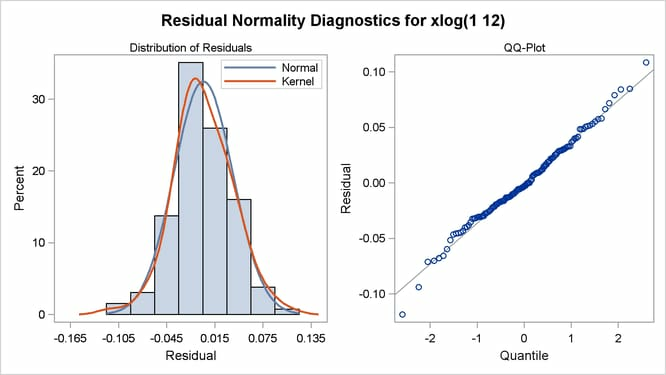 The plot is shown in Output 7.2.8.